with promises of total transparency. The move has sent shockwaves throughout the industry. AdNews has spoken to industry leaders and media agency bosses alike to understand the broader impacts of the decision. Accenture Interactive has opened a digital ad-buying division with promises of total transparency. Not content with wading into creative agency market with its acquisition of The Monkeys last year, the consultancy is now dipping its toe into the media agency realm by offering ad buying – something that largely remains unique to the media agencies. Accenture Interactive will now offer planning, strategy, buying, management of programmatic ad campaigns and ad tech support, as well as help clients move their programmatic in-house – a service it has offered for some time. The firm is also promising "100% transparency" to clients who choose to use its programmatic buying capabilities, charging no commission fee and taking no margin as a traditional media agency would. Its business model works on hourly consulting fees. 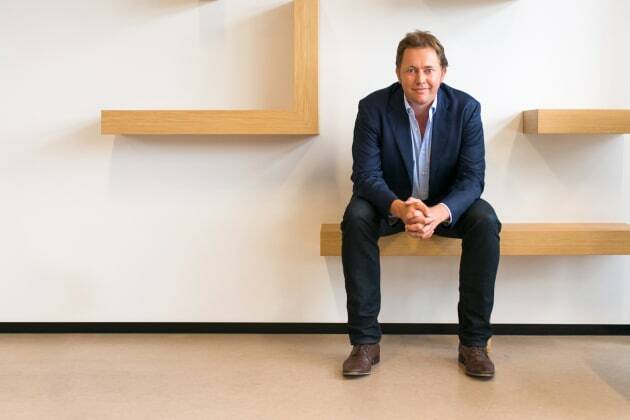 Accenture Interactive Australian managing director Michael Buckley tells AdNews this model will eradicate the transparency issues plaguing the industry and it’s one that’s in high demand with clients that are fed up of not knowing where their money is being spent. A 2017 study from the AANA found only 20% of spend on programmatic media reaches the customer, which marketers view as unacceptable and has led to companies like Calvin Klein, Foxtel and most recently CUB taking their programmatic trading in-house. “The industry is after more transparency. Clients are asking us to deliver that for them and by giving them the power to take back their media capabilities, hopefully the industry becomes more transparent and that’s the outcome of Accenture being involved in this space,” Buckley says. 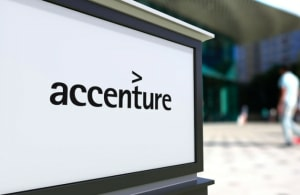 Accenture’s move into media buying will provide direct competition to media holding groups. Until now, consultancies have competed with media agencies for certain services, particularly around strategy and tech stack advisory, but have avoided their core business of media buying. According to Deloitte partner David Phillips, who was recently speaking at the AdNews Media and Marketing Summit, consultancies have avoided buying because it’s hard to compete with the low margins agencies offer clients. But Buckley says this hasn’t been an issue for Accenture, which has been working with Australian clients that aren’t happy with the value for money they are getting now. “If we did have a model that was based on commission, you can incentivise by volume. If you incentivise you can go to a publisher that is willing to make a deal, but there isn’t always value on volume,” he says. “While people do negotiate up front in order to rate an arbitrage system, we believe that by being completely transparent we don’t need to go down that road. Quoting a 2017 study from Nielsen that found two-thirds of Australia’s digital advertising inventory across all devices is now bought through programmatic or ad network services, Buckley says Accenture is anticipating the time where all media, including broadcast, is purchased through programmatic. Until then, it won’t be investing in media buying across broadcast channels. Accenture has released a new study today that found 65% of companies that are buying media programmatically have brought the capability in-house. The past two years have marked a flurry of consultant acquisitions and investment in some of the best creative agencies in Australia, as well as around the world. Arguably the most high-profile acquisition in this market has been Accenture Interactive’s purchase of The Monkeys in 2017. The emergence of consultancies into adland has been bold and creative agencies are finding themselves competing against the likes of Accenture, Deloitte and PwC for new business as they extend their C-suite offerings to clients’ marketing departments. Now, with media included in Accenture’s suite, Buckley says that the consultancy is a “full-service agency”, offering a one-stop shop through The Monkeys and Fjord, its consulting capabilities and now its media buying offering. There has been some concern in the agency community about a potential conflict of interest in consulting firms advising clients on their marketing services and solutions, agency partners and tech platforms that Accenture has high volume deals with. Buckley batted away concerns, saying “anyone that works with Accenture knows we are completely agnostic”. As for the threat now facing networks like Omnicom, Dentsu Aegis Network, Publicis Media, IPG Mediabrands and GroupM, Buckley shirks the potential of backlash and instead chooses to look at the positives. “The model we are bringing is something that clients are after and if we are trying to deliver true personalisation and deliver that with transparency, the trust of clients in this space is only going to grow and that will be a good thing for the industry,” Buckley says. Accenture Interactive was listed as the largest digital network in AdAge's annual agency rankings report last year and its revenue grew 35% to $6.5 billion last year. The Programmatic Services division has hundreds of employees, Buckley says, but couldn’t reveal the size of its Australian team. Make sure you are subscribed to AdNews in-print as our next edition focuses in-depth on how consultancies are shaping adland. Sign up here. Accenture Interactive has opened a digital ad-buying division with promises of total transparency. The move has sent shockwaves throughout the industry. 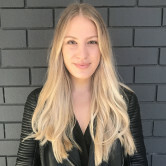 AdNews has spoken to industry leaders and media agency bosses alike to understand the broader impacts of the decision.